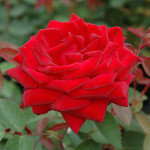 This beautiful rose was selected by Macy’s Department Store to be the official rose for their centennial celebration. Starting off as lemon-yellow buds, they soon open to a creamy white color. You’ll notice a hint of pink as they start to age. New foliage is red-rimmed and ages to a glossy green. Adorable, round, deep pink buds are held in cluster of 5 to 30, opening to ruffly blossoms so full they almost hide the centers. 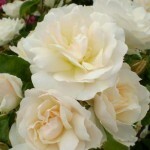 Offers tremendous flower effect, like sunshine on a cloudy day. Backed by medium green foliage, proven to be highly resistant to black spot with little to no defoliation. Compact, upright habit with good repeat bloom, My Girl makes a dazzling color statement. Everyone’s talking about My Girl. Own root. Beautiful double, purplish red flowers with dark red hips. Repeat bloomer. Very hardy and disease resistant. Aggressive grower. Strong, sweet fragrance. 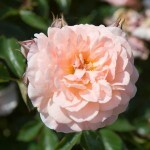 This elegant variety is very hardy and disease resistant; lovely apricot buds open and mature into antique white blooms, contrasting deep green foliage below, consistently blooming throughout the season. 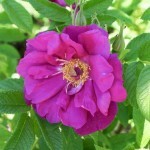 Let mischief reign in your garden with this compact everblooming rascal. 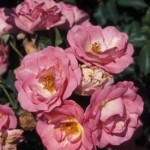 New blooms of deep-pink with a white eye contrast nicely with the lighter pink aging blooms. 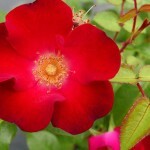 With its glossy green foliage, low-growing habit and disease-resistant foliage, the only trouble this rose will get into will be with the rose it replaces in your garden. 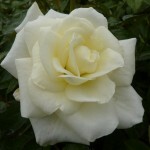 A wonderful companion plant in a border planting, a hedge plant or in a decorative container as the star performer. Ever-blooming 3″ double blooms whose outer petals are dark pink changing to orange and finally to bright yellow at the center. It’s small, perfectly rounded form makes it an outstanding informal hedge along a walkway or garden path. Highly disease resistant. 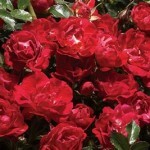 Resembling a hybrid tea rose, the velvety red blossoms are as soft as cashmere and beg to be cut for the vase. With an evenly rounded habit Kashmir fits perfectly into today’s urban landscapes. Try this bold accent plant in the border, foundation or as a low hedge, hugging paths and walkways. Repeat bloomer. 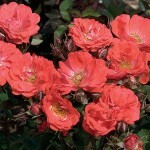 Bright coral-orange blooms cover this small mounding shrub from mid-spring to mid-fall. Fully winter hardy and disease resistant. It’s low, spreading habit makes it perfect for small gardens and combination planter. As the name implies, Sunrise Sunset is a stunning blend, with bright fuchsia-pink petals, blending to apricot near the centers. 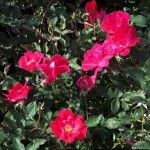 Blue-green foliage is disease-resistant on this everblooming shrub rose. 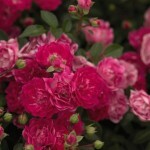 Its dense, spreading habit makes it an ideal ground cover and is also well suited to mass plantings. A vigorous grower, even in zone 4. 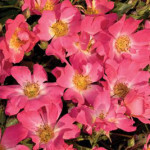 A tough, winter hardy, disease resistant, repeat blooming groundcover rose from the same creators of the Knock Out® family of roses. It is perfect for rock gardens or mass plantings where it can drape over the rocks or other features. 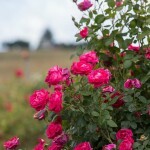 A new tough, winter hardy, disease resistant, repeat blooming groundcover rose from the same creators of ‘Knockout’ roses. 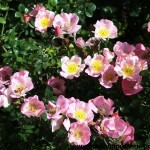 Abundant deep pink flowers with a soft faded center bloom throughout the season. 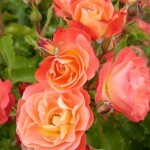 A new groundcover rose from the creator of the Knockout Series. Double apricot colored flowers start in the late spring and keep going through the first frost. Tough, disease resistant, winter hardy, and virtually maintenance free. A rose true to its name. This easy to care for beauty keeps borders and landscapes awash in pale, delicate pink blooms from late spring into fall. Excellent disease resistance. 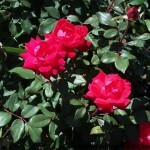 Fluorescent cherry red flowers highlighted by mossy green foliage and a sweet tea rose fragrance. Big, bright orange hips prolong the performance of this shrub into late fall and winter. Purple to maroon fall color. Resistant to black spot and other diseases. Profuse, double, cherry red flowers fill this beautiful plant through the first hard frost. Plants require very little maintenance making them excellent for many different applications. Blackspot resistant, drought tolerant and self cleaning. 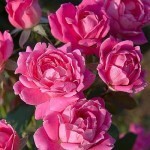 A bright bubble gum pink version of the ‘Double Knockout’ rose that is also very stable and heat tolerant. Classic shaped flowers from early spring to the first frost. Very drought tolerant once established. Low maintenance, no deadheading or spraying. Disease and pest resistant. Stunning when planted in masses.